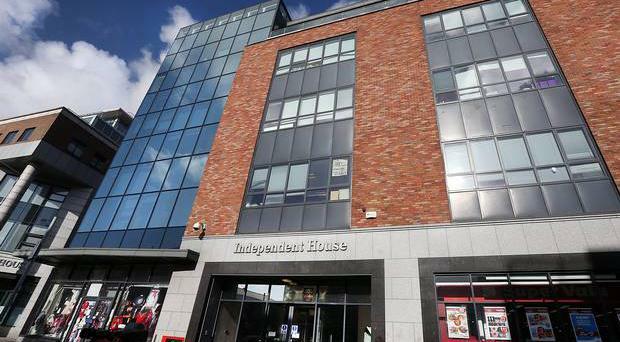 Independent House, Dublin, headquarters of INM. The Irish Republic's corporate watchdog is to seek the appointment of inspectors to investigate affairs in Independent News & Media plc (INM), owners of the Belfast Telegraph. The Office of the Director of Corporate Enforcement has been investigating corporate governance at the media group. A company spokesperson released a statement on Saturday night, stating: "On March 23rd 2018, the Company received notice from the Director of Corporate Enforcement of his intention to apply to the High Court of Ireland under section 748 of the Companies Act 2014 for the appointment of inspectors to investigate the affairs of the Company. "The Company has been informed that the Director will make an application to the Court for the appointment on April 16th, 2018. "Under section 748 of the Companies Act 2014, the Court may appoint an inspector to investigate the affairs of a company, and to report on those affairs to the court, if the Court is satisfied that there are circumstances suggesting that the affairs of the company have been conducted in an unlawful manner or on certain other specified grounds. "The Board of INM is taking legal advice as to whether the Court would have sufficient grounds to make the appointment. "The Board and the Company's management remain fully focused on the business and ensuring that the day-to-day operations are conducted as normal. "However, the appointment, if made, could result in the Company incurring material costs. Further announcements will be made in due course, as appropriate." Former INM chief executive Robert Pitt made a protected disclosure which led to the probe. He and former Company chairman Leslie Buckley had a disagreement over the proposed acquisition of Newstalk radio station. INM is the largest media group in Ireland. As well as the Belfast Telegraph, it publishes the Irish Independent and Sunday Independent.